New Delhi : Pink Line's Trilokpuri Sanjay Lake-Shiv Vihar Metro section will be opened for public on October 31, the Delhi Metro said on Friday. 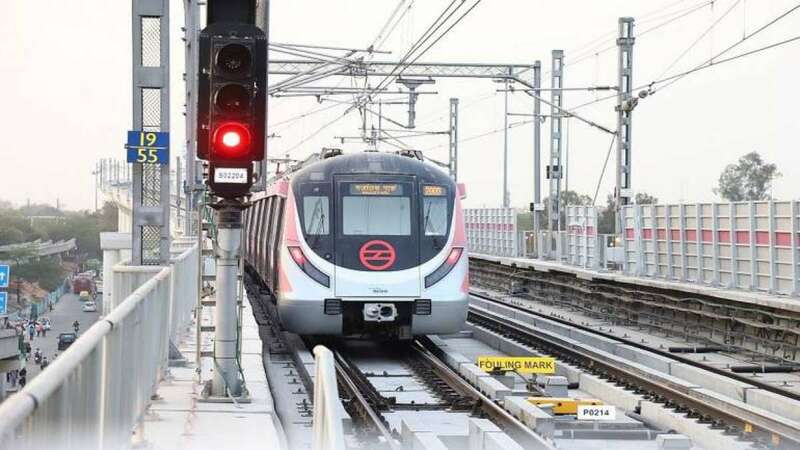 The nearly 18-km section will be flagged off for passenger operations by Hardeep Singh Puri, Minister of State for Housing and Urban Affairs and Manish Sisodia, Deputy Chief Minister, Delhi government, at 9.30 a.m. via remote from Metro Bhawan. The elevated section has 15 stations: Trilokpuri Sanjay Lake, East Vinod Nagar (Mayur Vihar-II), West Vinod Nagar (Mandawali), I.P. Extension, Anand Vihar ISBT, Karkardooma, Karkardooma Court, Krishna Nagar, East Azad Nagar, Welcome, Jaffrabad, Maujpur (Babarpur), Gokulpuri, Johri Enclave and Shiv Vihar. Anand Vihar (Blue Line), Karkardooma (Blue Line) and Welcome (Red Line) will be the three interchange stations on the stretch. With the opening of another station there next Wednesday, Anand Vihar will add another feather to its reputation as a major transport hub, with already a metro line, an interstate bus terminus and a railway station teeming with passengers there. Once fully operational, the 59-km line (Majlis Park-Shiv Vihar) will be the longest on the network. After the opening of this particular section, Delhi Metro network will encompass a 314 km lap. The stretch connecting Majlis park in north Delhi to Lajpat Nagar in south was opened earlier in the year in two phases.